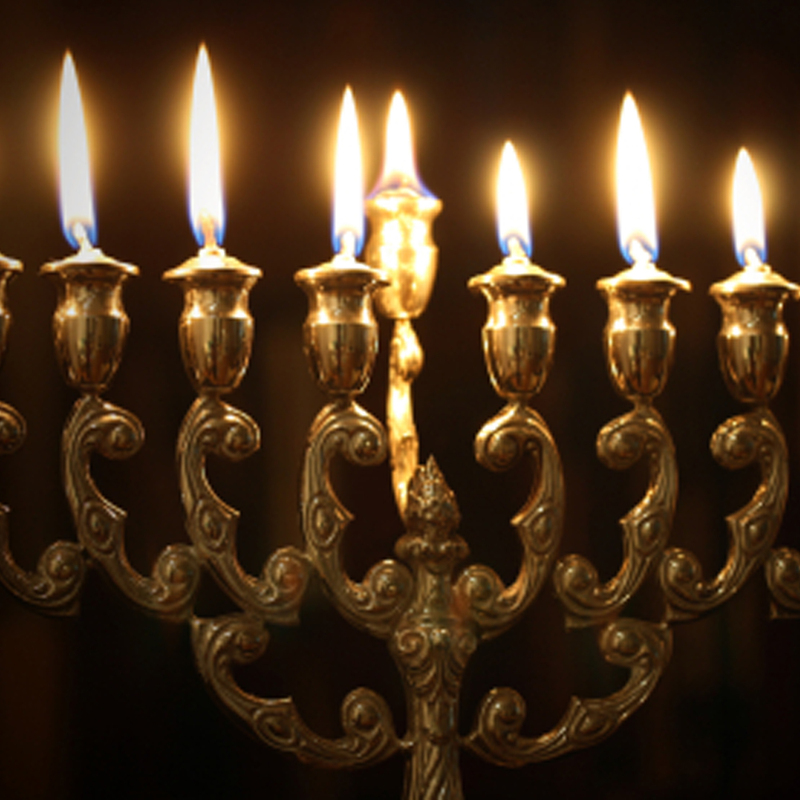 This week Jews celebrate the festival of Chanukah, to commemorate the miracles G-d made for them in ancient times. During the time of the Second Temple, the Jews overcame their enemies, who tried to force them to abandon the study of Torah and the practice of its commandments. (The Zionists of today have made, and are currently making, similar attempts.) With G-d's help, the Jews won out, and were able to continue keeping the commandments. Afterwards, when the Kohanim (priests) entered the Temple to light the menorah, they found that all the oil had been defiled by their enemies. They found only one small jar of oil closed with the seal of the High Priest, enough for only one day. A miracle happened, and they lit with that oil for eight days, until they were able to make new oil. When the Jewish Sages of that time established Chanukah, they enacted the lighting of the menorah, which reminds us of the second miracle. A mention of the miraculous wars was inserted into the prayers, but it seems that the Sages were concerned mainly with remembering the miracle of the oil. The reason for this is explained in the holy books. The Sages foresaw that the Temple would eventually be destroyed and the Jews would go into exile. During the exile, Jews are forbidden to wage wars; they are adjured to wait peacefully until G-d brings the exile to a miraculous end. The Sages feared that if too much stress were put on the wars, Jews in exile might be led to consider the idea of war as a means to redeem themselves. Therefore they established the practice of lighting a menorah in every Jewish home, to stress the miracle of the menorah in the Temple. Furthermore, the Sages intended the menorah itself as a reminder that the redemption from exile will come in a miraculous way, not through human effort. The source for this symbolism is in the book of the prophet Zechariah (4:6). Zechariah was shown a prophetic vision of a menorah. He asked an angel what the vision meant, and the angel replied, "This is the word of the L-rd to Zerubabel, saying: Not by might, and not by power, but by My spirit, said the L-rd of Hosts." How bitterly ironic is it, then, that the Zionists have ignored the spirit of the candles, turning Chanukah into a celebration of the victories of the Maccabees, and have taken as one of their national symbols a menorah, of all things – the very menorah that symbolizes the opposite of their ideals! Click here to read more Divrei Torah about Chanukah.